A Will only comes into effect at the moment of death. You are free to do anything with your assets all the time that you are alive even if you have included those assets in your Will. For example, if you plan to leave your Ford truck to your brother, and then subsequently sell the truck, your brother will get nothing (the bequest is said to be “adeemed”). However, if you sell that truck and buy a new Ford truck, then the new truck would go to your brother, as long as it fitted the description in the Will (you have “restored the adeemed property”). In Québec marriage does not automatically revoke (cancel a Will), however, divorce causes the sections of the Will relating to your ex- spouse to be ignored. In other words, it is read as if your ex- spouse never existed. Separation does not revoke a Will. 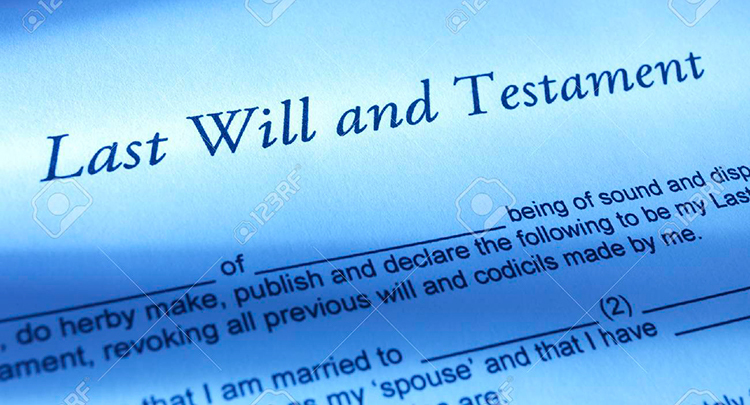 It is very important to update your Will every time there is a change to your marital status. Common-law partners do not have the same claims on property as married partners. After your Will is signed, you must keep the original and all copies in a safe place and let your Liquidator know where the original is stored. It is very important for your Liquidator to be able to find your Will at the appropriate time. Although the document must be kept safe, it should not be inaccessible. If you choose to store it in a safety deposit box, make sure that your Liquidator will be able to gain access at the appropriate time. Do I need a lawyer or notary? There is no legal requirement to have a lawyer or notary prepare your Will. In many cases, there is no practical need for a lawyer or notary to be involved in the preparation of your Will, particularly if your family situation and plans for succession distribution are straightforward. However, if you belong to any of the groups described in the introduction to this kit, you should seriously consider consulting with a legal professional. Throughout your life, you are free to update your Will as often as you like, either by making an amendment, or by drafting a new Will. An amendment to an existing will is called a modification or “codicil” and must follow the same form and structure of a full Will (i.e. it must be properly signed and witnessed). Consequently, writing a modification is not usually much of a shortcut. In fact, it can lead to significant confusion. It is strongly recommended that if you wish to make changes to your Will, that you create a new Will, and revoke and destroy all previous Wills. Never make handwritten amendments to your printed Will. Not updating a Will can be as bad as not having a Will at all. Even if you feel that there have not been many changes in your life, your Will should be reviewed every year on a routine basis. Divorce or the dissolution of a civil union does not revoke a Will; it only cancels the portions of the Will related to your ex-spouse.